I've been a firm proponent of Klean Kanteen bottles for nigh on a decade now. The two I have have suffered a bit of abuse, scuffs and dings, which only marginally reduce the capacity. I think I could drop one off a building and it would survive. 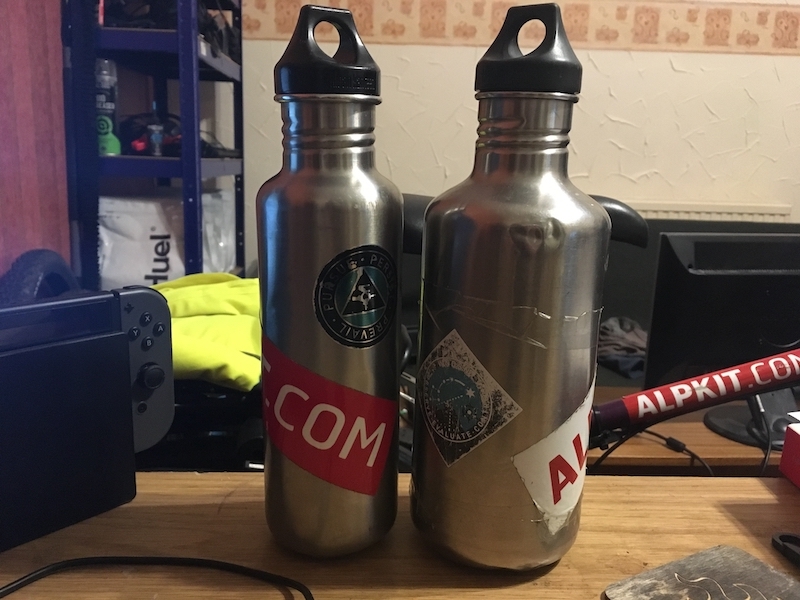 The stainless bottle and the plastic cap are easy to clean. Sadly, over the years, the rubber o-rings that seal the bottles up and stops errant drips have degraded somewhat. I am not sure what the black stuff is, I can't clean it off and it looks pretty unsightly. Also, there are some tears in the rings which compromise them. 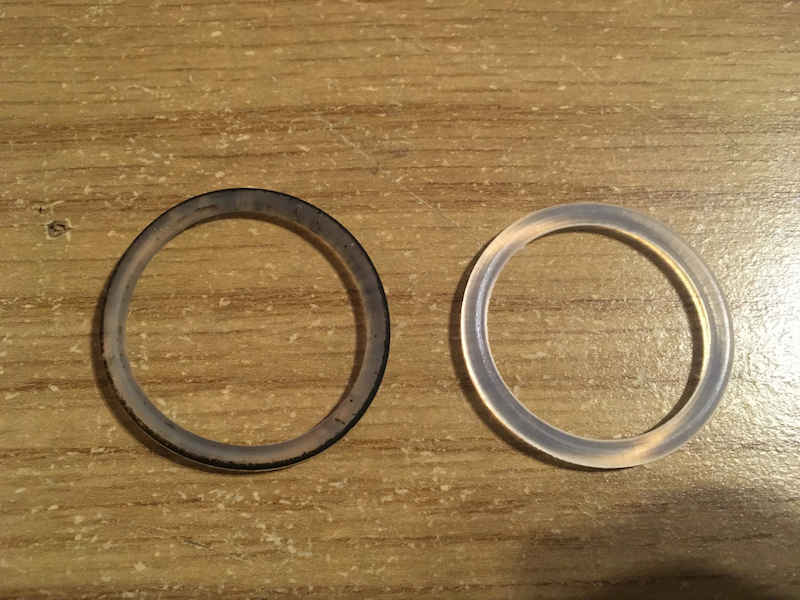 Thankfully, a replacement aftermarket set is available on Amazon and it is a quick job to whip off the old ones and replace them. Ready for another 10 years of service. Cycling to work is undeniably a good thing. Sweat on the other hand, is not. My commute is 7.5 miles, a lot of which is uphill. Riding a bike with a backpack full of stuff makes me sweat quite badly and my work doesn't have any sort of showering facilities. Couple that with being required to wear a shirt and tie and you have a recipe for disaster. 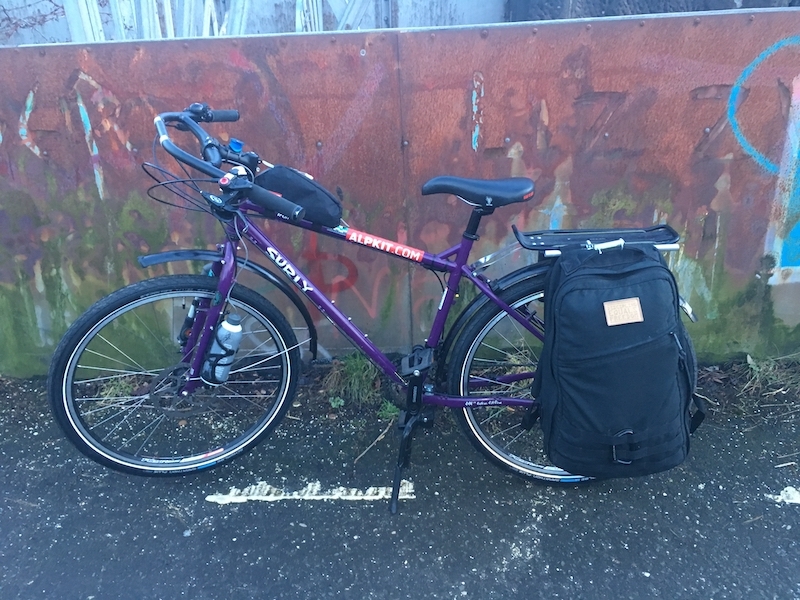 My bike has a pannier rack on it so the natural idea is to put a pannier bag or two on. 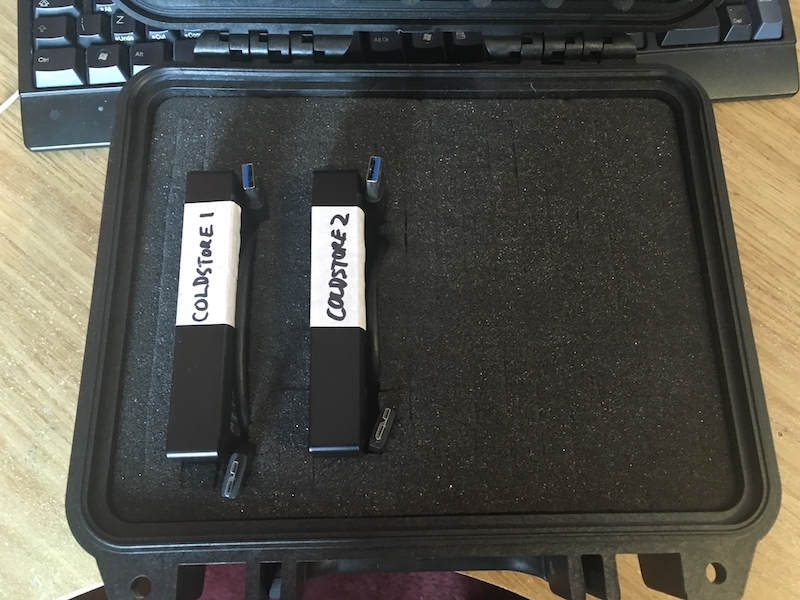 This however would mean transferring stuff between the pannier bag(s) and my EDC backpack irritatingly often and means having extra kit about the place. The solution then is to put the backpack itself on the bike. A few options were brainstormed. Ratchet straps were tried but ended up being more hassle than they are worth. Using a Greyman Tactical RIP-M panel was attempted but unsatisfactory. 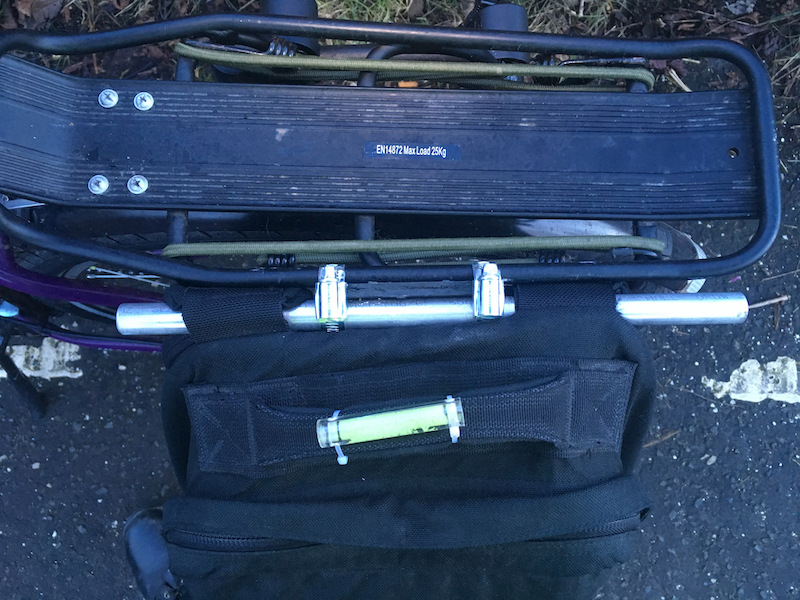 What is needed is a way of hooking the backpack straps to the rack. Way back in the day, I got a Kifaru Paratarp with the peg and pole kit. The kit has basically been retired, got better pegs and hiking poles for that purpose but I kept the poles around for future use. I attached one of the pole segments (basically a bit of aluminium pipe) to the rack with a couple of hose clamps and used a couple pieces of kydex from a previous project to space it out. Hook the straps over the pipe and tighten them down and the bag is securely attached to the bike. Doesn't move an inch. The major downside to this approach is at low speeds (namely moving off and manoeuvring on foot) the bike is biased to one side which is interesting getting it down the hall at 04:30. At regular cruising speed I don't notice a thing. If you have been in the tech circles in the last couple of years you will have heard about Soylent, powdered food for techies and folk who don't want the hassle making food. Sadly its not available in the UK (at least without paying shipping and import fees). I found a couple offerings this side of the pond but none were too satisfactory, shipping delays and other faff being the main issues. Until I stumbled upon Huel. Same idea as Soylent but made in the UK, next day delivery with a reputable courier and 100% RDA of everything. The "food" is dry powder and comes in plastic foil lined bags which are sealed from the factory. I figure they are ripe for food storage. 1 bag is 14 meals at 500 calories a go. 4 bags is a month of calories, assuming a daily intake of 2000 calories. 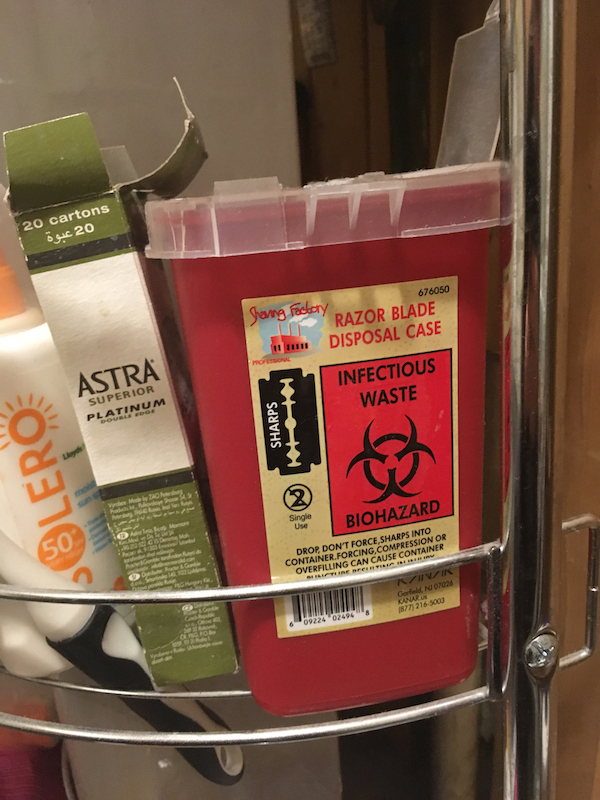 Since they are foil lined, the use by date is a good 8-12 months but being dry powder and (presumably) relatively sterile, the shelf life is probably a good bit longer. There will likely be a cutoff point where the powder does start to spoil so it will need rotating out. 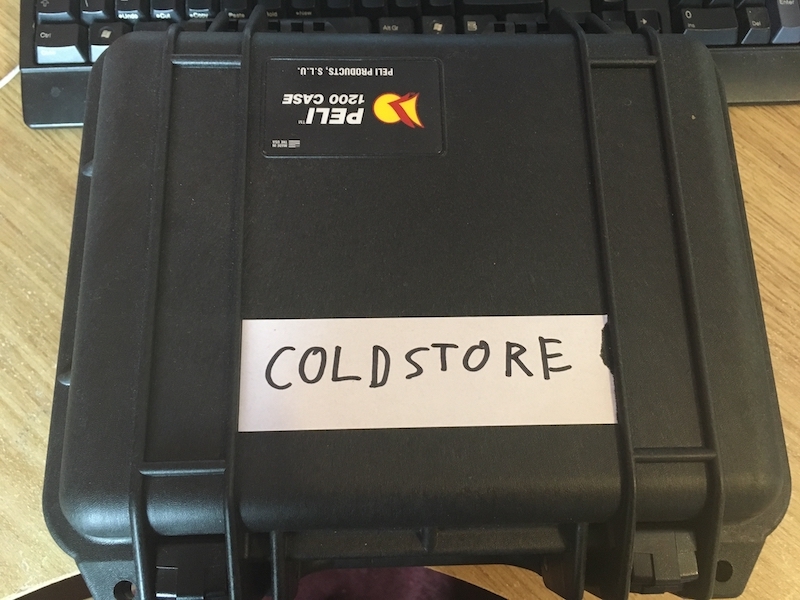 A simple way to keep track of it is to just write the delivery date on the bags I get. I keep one bag in my bugout/travel bag and another in a pelican case which I can wheel along behind me. If I need to hightail it out, I have at least 2 weeks of food. These 2 bags are the first to be rotated when I get a new delivery which ensures I have the longest life for any bugging out. Old bags get slotted into storage by date order and consumed in time. 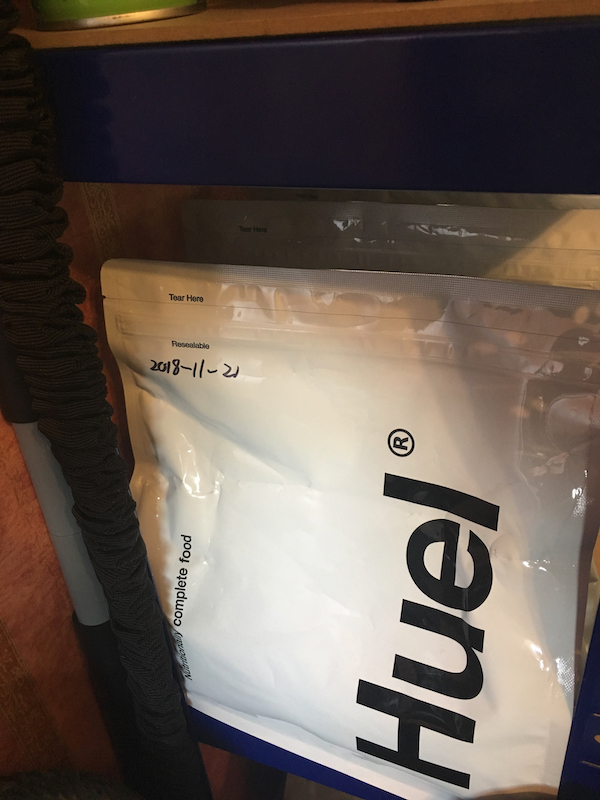 I get my Huel deliveries in 4 or 5 bags a go, my one or two meals a day means I only consume about 3 bags worth a month. If I get 4 or 5 bags every month, then over the course of a year, I can build up several months of stored food. Assuming I can procure potable water, I can basically live for an extended time without having to procure sustenance of any significant value. 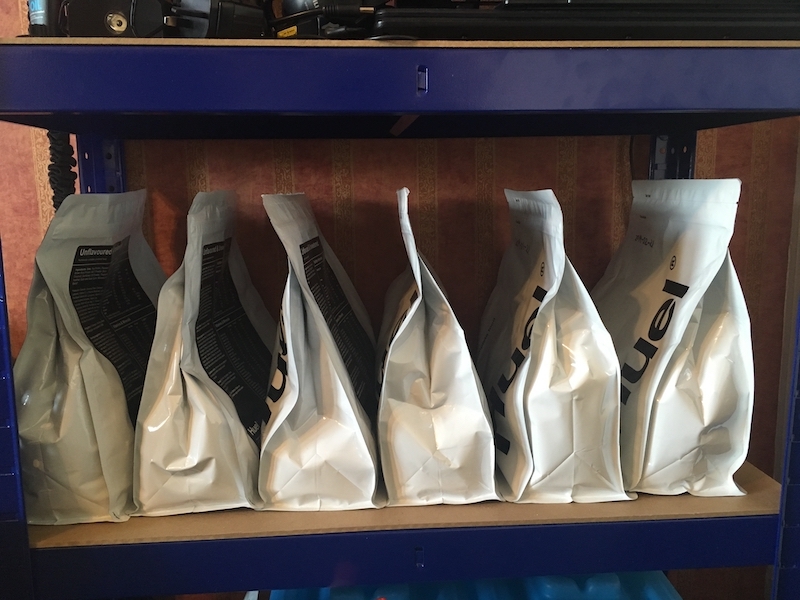 Now, I'm not one of those people who are on 100% Huel, I like my real food too much to do that, but I usually have one "meal" for breakfast and depending on what is going on with work, another one or two that day, with a real meal at some point during the day. At 21:00 PT, after 20 years of continuous broadcasting, the internet's longest running internet radio station is coming to an end. James O'Brien (aka Cimmerian) made the decision to end the run instead of letting it atrophy and wither away. Sad to see it go, Patrolling was a formative part of my teenage years and I fully credit Rant with the solid friendships and the current relationship I have. I've been a fan of command line scripts and software to get tasks done for a while now. A few weeks ago, I tried having a go at hacking on Bashpodder to add Youtube functionality via the use of youtube-dl to get videos automatically, podcast style. Annoyingly, I couldn't make it run properly and left it for a while. Until this morning when I had some coffee and decided to just break out the functionality to a separate script. 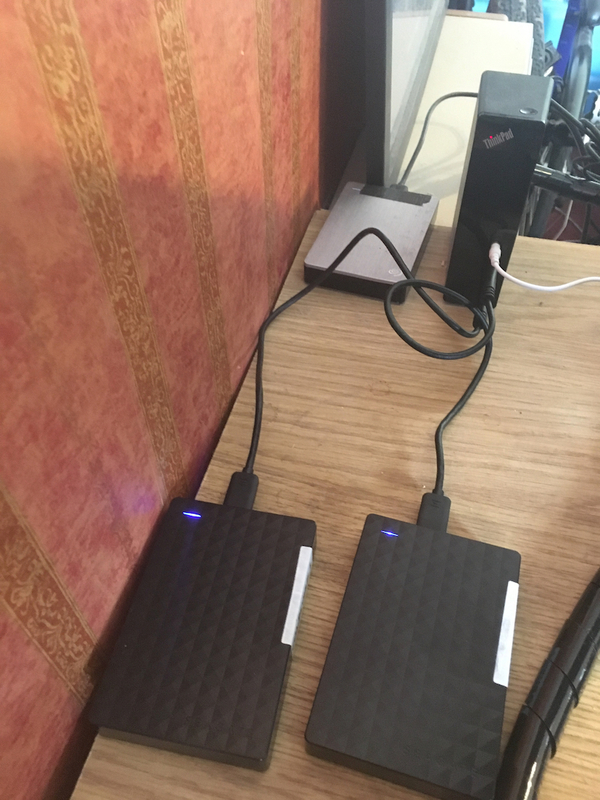 Two scripts for podcast downloading may be a bit much but needs must. Like my bashpodder hack, this script requires youtube-dl to be installed. It also requires two text files to be in your home folder (or symlinked from elsewhere). .ytget.conf is a list of channels that you want to download from, whether from Youtube or any other service that youtube-dl supports. .ytget.lastrun just contains a timestamp in date +%Y%m%d format - eg. 20190101 - that is when the script was last ran. I recommend initially using a date from a month or two ago, else the script will default to 20180101 and get all videos uploaded since then. Grab the script (or clone the whole repo), stick it in your $PATH and grab your Youtube subscriptions, free from the need to have a Google account!